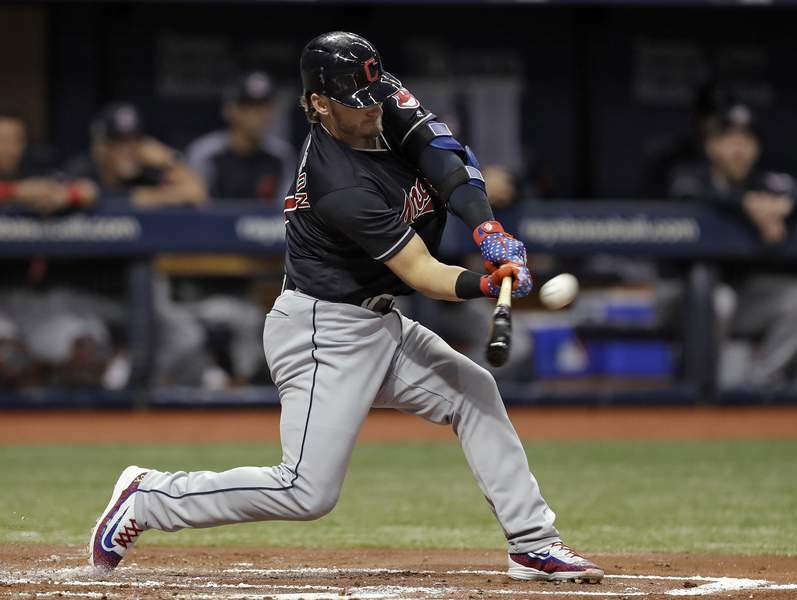 Associated Press Josh Donaldson went 0 for 4 in the his debut with the Cleveland Indians on Tuesday night in St. Petersburg, Fla.
ST. PETERSBURG, Fla. – Josh Donaldson and Edwin Encarnacion are back together again and got a chance to celebrate a home run like old times in Toronto. Cleveland lowered its magic number to three for a third straight AL Central title. Second-place Minnesota defeated the New York Yankees 10-5. Acquired from Toronto on Aug. 31, Donaldson went 0 for 4 in his first big league game since May 28, a layoff caused by a strained left calf. Yan Gomes also homered and rookie Shane Bieber (10-3) struck out a career-high 11 in 62/3 innings, allowing three hits and three walks. Tampa Bay had its franchise record 12-game home winning streak end and lost for just the fourth time in 21 games. The Rays dropped to 81/2 games behind Oakland for the second AL wild card. The teams will meet in a three-game series this weekend. “The odds are against us but I'm very excited,” Rays ace Blake Snell said.